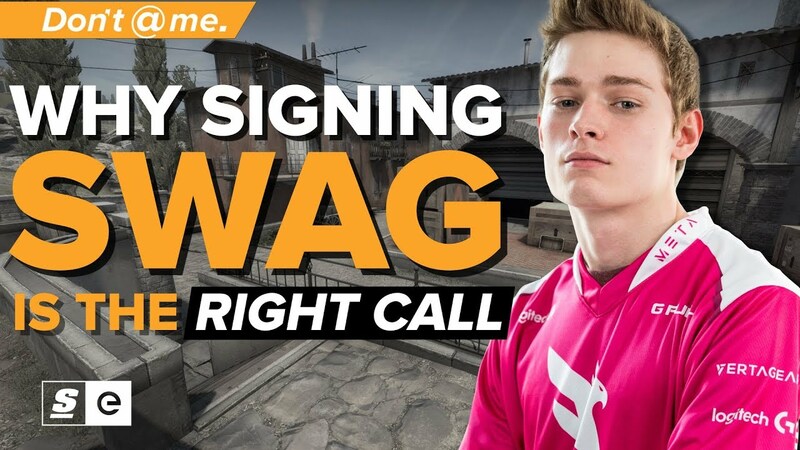 Braxton "swag" Pierce is a North American Counter-Strike legend. He's skilled, he's young and he commands an aura of adoration from NA CS fans everywhere. The trouble is, he's banned indefinitely from participating Valve events. But theScore esports' Colin McNeil thinks that, ban or no ban, he's a smart pickup for any team that isn't already dominating the competitive landscape. He says it's not just about what swag can do in the server, but the kind of brand power and fandom he can bring outside of it.